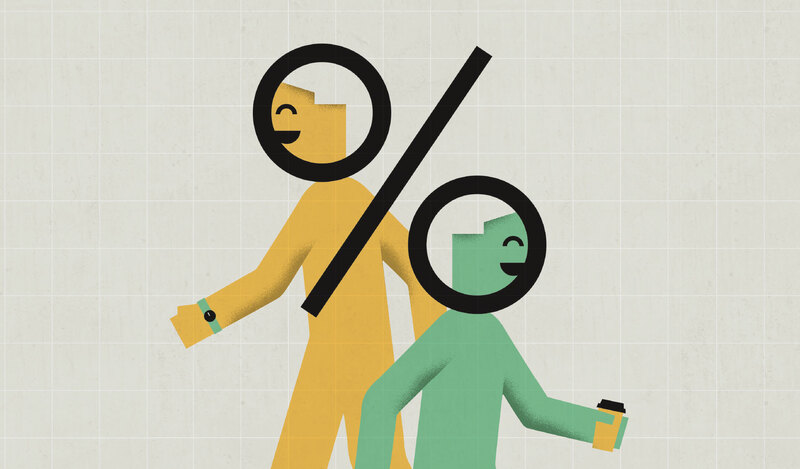 Does Your Company Culture Measure Up to Your People’s Needs? A focus on work-life balance, employee recognition, compensation, and a people-first environment can create a strong corporate culture. What are the strategies for making it happen? In this day and age, nearly everything can be boiled down to a number—company bottom line, performance, sales goal, or target growth rate, to name a few. Has it improved or worsened over the past year? To start with, what is company culture? Some say it is what happens when the supervisor leaves the room. Some say it is the way the company values its people. Some say it is the flexibility you get to balance your work and life. Some say it is the quality of peers and managers you work with. Some say it is the available growth opportunities. Some say it is the politics—or lack thereof. Some say it is the offer of challenging project opportunities. Some say it is the diversity of people in the organization. A common theme runs through all these definitions: Culture is our perception of how the organization is fulfilling our needs. How we fit into the organization—positively or negatively—can energize us or drain us, inspire us or deter us, nurture us or stifle us. So, what motivates people to love working for a company? We surveyed 100-plus professionals (staff, mid-level, management, director, and C-suite) across small, medium, and large businesses to gauge their ideas of a good culture and their expectations from their companies, leaders, and employees. The top three findings from the survey spanned areas of work-life balance, turnover, and improvement opportunities. We asked C-suite leadership and other professionals whether their companies set good examples for work-life balance. While 92 percent of C-suite leaders thought their employees had the flexibility to achieve their personal goals alongside work, only 52 percent of employees agreed they had such flexibility. This shows a disconnect between what leaders perceive their organizations offer and what the perception is within the lower ranks. We asked C-suite leaders to name the top reasons for turnover within their companies. Three common reasons included team dynamics (37 percent), lack of career advancement (33 percent), and compensation (30 percent). When we asked employees why they had quit previous jobs, we came across two more reasons: work-life balance (17 percent) and learning/training (14 percent). Work-life balance and continued training need to be part of the leadership agenda to address turnover. We asked staff, managers, and directors for ideas on how their companies can improve in order to attract and retain good talent. The top recommendation was for better work-life balance at 34 percent, followed by providing learning opportunities at 22 percent, and prioritizing people before profits at 21 percent. As the need for growth is heightened, it is hard for companies to focus on people and evolve their internal strategies to retain a good organizational culture that meets employees’ needs. Here are a few ways organizations can take small steps toward establishing a healthy culture that caters to employees’ needs. A company is only as good as its people. In yesteryears, a company was valued by its assets—including its equipment, its building, and its technology. Today, organizations are defined by their people—what expertise they have, how well they work together, how trustworthy they are, their ability to build long-term relationships, and their capacity to seize opportunities and work reliably. Successful organizations nurture this emphasis on people, training them to be the best versions of themselves. Case in Point: Zappos. Zappos weighs cultural fit almost 50 percent in its hiring decisions. The company offers new employees $2,000 to quit after the first week of training if they decide the job isn’t for them. Employee earn raises by passing skills tests and exhibiting increased capability, not from office politics. Zappos dedicates a portion of its budget to employee team-building and promotion of its culture. Work-life balance topped the list of employee recommendations for improving company culture. Not surprisingly, this was also one of the top reasons people left their past jobs. 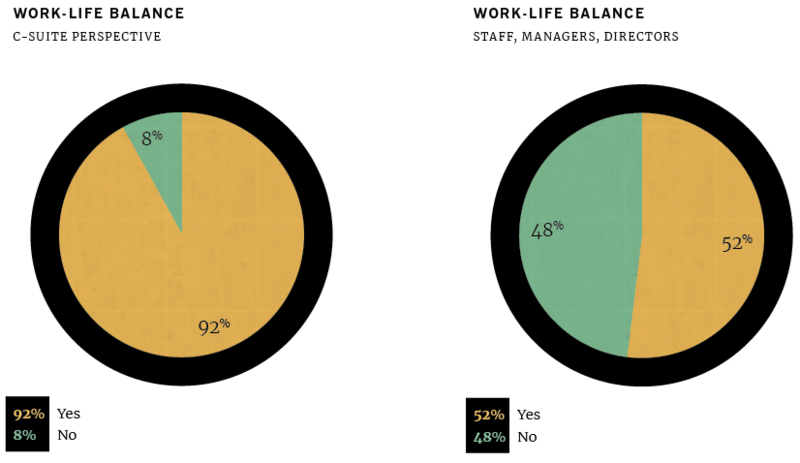 How do you know your company offers the necessary work-life balance to employees? Does work take precedence over family matters? Are employees offered the flexibility to telecommute? Do you expect employees to be on the road every week? Are employees working on weekends? Are employees forgoing vacation days? If you answered “yes” to any of these questions, you have a problem to address. With the advent of mobile technology, it is hard to switch off from work. Today, more than ever, organizations must support their employees to achieve a sustainable balance between their personal lives and work. Management needs to practice this balance and encourage their employees to do so, too. When employees recognize the support from their organization to achieve their personal goals, they become emotionally invested in the company. They will enjoy coming to work. That, in turn, will make them more productive and the organization more successful. Case in Point: Recreational Equipment Inc. (REI). REI is one example of a company that provides flexible work arrangements. Employees do not feel pressure to work evenings or weekends. Leaving early for family reasons is perfectly acceptable. In addition to a generous vacation policy, REI offers about 12 weeks of unpaid leave in a year and a month-long sabbatical after 15 years of service. The company promotes a paid day off every six months—also called “Yay Day”—for employees to spend outdoors. REI also offers financial support for employees who want to pursue higher education. Good ideas come from everywhere. Companies should take a step toward inclusiveness by attracting diverse candidates. That includes candidates with varying backgrounds, ideas, and points of view; and candidates with diverse perspectives, including gender, age, race, sexual orientation, disability, culture, national origin, and life experience. Bringing together people of various backgrounds and different life experience can generate ideas or perspectives others may not have ever considered or been aware of. Encouraging a diverse workplace can alter perspectives, aid acceptance, and reduce discrimination and bias. The most important thing is to pick people around you that aren’t like you, that complement you. And so I believe in diversity with a capital D.
by their senior executives. These groups bring together people across businesses and geographies, provide critical insights about where the company should focus its diversity efforts, and play an important part in building internal and external networks. A few of the company’s affinity groups include Women in Engineering, [email protected], [email protected], Women in Finance, Amazon Warriors (Military), Glamazon (LGBTQ), Amazon PWD (People With Disabilities), and the Black Employee Network (BEN). Employees gave compensation the second-highest score among reasons for leaving previous jobs. Companies may have the best cultures, but if they do not value their employees with fair compensation, they risk losing valuable talent, while spending substantial time and money in the hiring process. Keep your compensation strategy current and aligned with market and industry data to ensure bonuses and raises are competitive. Most importantly, take the lead in making sure there is no compensation discrimination based on gender, race, or age. The factors governing an employee’s pay should be restricted to experience, skill, education, and performance. Pay them more than anyone else likely would. What would we pay for a replacement? Pay them as much as a replacement would get. Pay them as much as we would pay to keep them if they have a higher offer from elsewhere. Employees thrive in their roles when they are given freedom and ownership of their work. This results in a sense of purpose and pride in their jobs and in their organizations. Instead of telling employees how things need to be done, provide them the opportunity to lead and be creative through the process. This will increase their engagement and lead to better job satisfaction as they see their own ideas in play. Recognition and career advancement was the top reason why people left their past jobs. Senior leaders must recognize work well led and delivered. Past studies have shown that recognition strongly correlates to lower turnover rates, more happiness, and better job satisfaction. A survey indicated that seven out of 10 employees who received appreciation for their good work said they were happy with their jobs. However, among employees who had not received recognition, only 39 percent said they were satisfied at work. Employee appreciation creates an environment where employees want to continue making a difference for their companies and their colleagues. A study by Bersin & Associates entitled “The State of Employee Recognition in 2012” found that organizations scoring in the top 20 percent for building appreciation-rich cultures have lower voluntary turnover than other enterprises. There are two things people want more than money…recognition and praise. Case in Point: Cloud 9 Living. Cloud 9 Living has an employee recognition tactic called “The G Book.” The G Book is the book of “Good Stuff” which all employees are encouraged to inscribe with recognition for peers and team members, writing out accomplishments—work-related or personal. Every week, at an all-company meeting, employees read aloud G Book entries to call out employee accomplishments that may otherwise go unnoticed. It also enables employees to recognize one another instead of management always providing the recognition. Hiring practices heavily shape an organization’s culture. Before you start the hiring process, understand your organization’s core values. What kind of culture defines your company? What qualities will lead an employee to be successful at your firm? Are you looking for collaborators, innovators, or leaders? The answer may be a combination. The best way to make sure you hire a cultural fit is to engage leadership and employees in the hiring process. Try to also make the hiring process less formal, allowing you to meet potential candidates outside the formal office settings to get to know their backgrounds and experiences. Hiring people is like making friends. Pick good ones, and they’ll enrich your life. Make bad choices, and they’ll bring you down. Case in Point: Jabian Consulting. I have not come across another company that applies as much rigor to its hiring process to ensure candidates are not only a capability fit, but also a cultural fit. Those whom Jabian hires are rewarded with a people-first culture where you will collaborate with some of the smartest people, where you are encouraged to build your internal and external networks, where you are expected to give back to the community, and where you get to solve some of the most interesting and challenging of business problems. People are the most important asset of your organization. Focusing on your people starts with building an accommodating workplace that is sensitive to their personal needs and provides them with a path to grow. A workplace that not only supports the diversity of people and thoughts but also fosters leadership by encouraging good work through recognition programs. A workplace that revisits compensation to align with the market and keeps an eye on preserving the culture as the company grows and hires more people. It takes years to build a great company culture but it takes conscious leadership and initiative to preserve that culture.